Could Mattrick be a Trojan? When Don Mattrick leapt like a gazelle made entirely of money from Microsoft to Zynga, it wasn't fully appreciated at the time just how close Mattrick was to Zynga's top brass. 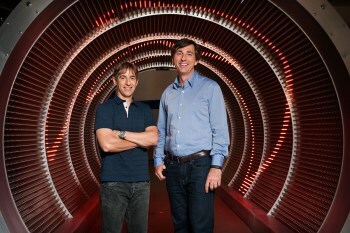 Mattrick and Zynga boss Mark Pincus used to be - and still are - road biking buddies, and while out on the trail they talked about this, that, and the possibility of Microsoft buying out Zynga, as part of a long courtship that went back to 2010. Of course, that isn't how things turned out in the end, as Mattrick was instead bought - to the tune of $95 million, potentially - by Zynga. Analyst Michael Pachter has already pointed out the absurdity of Mattrick's position. "To walk into a company that is not profitable, it's not growing," says Pachter, "and you've got the founder and majority controlling shareholder sitting in the office next to you ... what exactly can you get done?" Will this happen? Your guess is as good as mine. But there is something interesting in Mattrick's pay package regulatory filing. Mattrick is now part of a two man executive committee - Pincus is his other half - designed to "facilitate approval of certain corporate actions." If that committee ever goes away or expands, Mattrick can claim severance as if he had been fired arbitrarily, so he's sitting pretty however this turns out. But you do have to wonder just what those corporate actions are likely to be, and why it wants a team of just two people - who've already talked about selling Zynga - to carry them out.